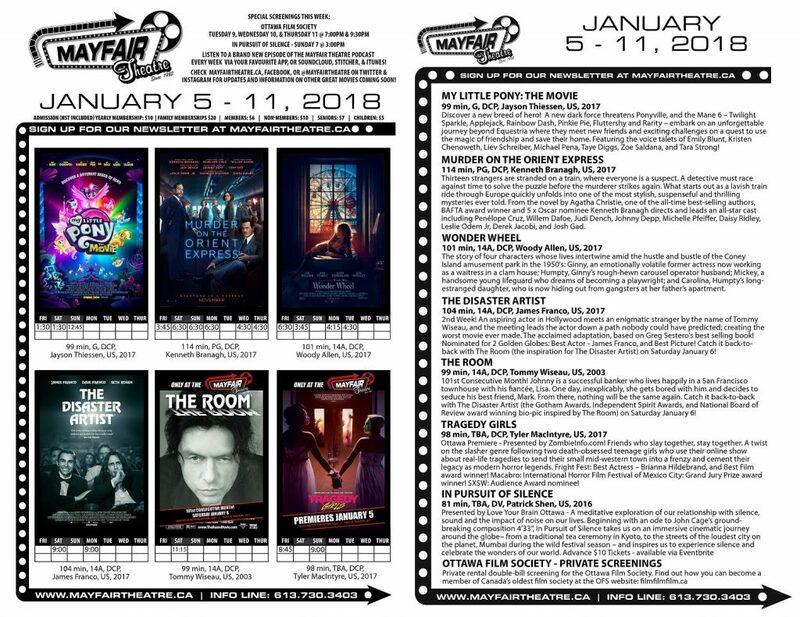 Murder on the Orient Express, Wonder Wheel, In Pursuit of Silence, and family matinees of My Little Pony: The Movie! Also, encore screenings of The Disaster Artist, and the 101st consecutive month screening The Room! *Unfortunately, Tragedy Girls has become unavailable at the last minute. It’s two screenings will be replaced by The Disaster Artist. Sorry about the last minute switch-up…sometimes these things happen with distributors.